The Federal government recently announced the findings of the U.S. Small Business Administration’s (SBA) FY 2016 Small Business Procurement Scorecard, revealing the destination of the government’s contracting dollars. National Financial Capability Month 2017: How is Your Financial Literacy? April is National Financial Capability Month, 30 days dedicated to recognizing the importance of financial literacy for a stable future and teaching Americans to establish sound financial practices. Originating from initiatives to educate the youth on healthy financial habits, the Senate passed Resolution 316 in 2004 officially dedicating the fourth month of the year to financial literacy. The U.S. Women’s National Team Players Association (USWNTPA) has ratified a new collective bargaining agreement (CBA) with U.S. Soccer-the sport’s American governing body-securing among the new benefits, higher pay and better travel conditions. The new CBA is an influential contributor to the success of women’s soccer in the U.S. and women’s sports around the world. The latest research from the Association for Enterprise Opportunity (AEO), The Tapestry of Black Business Ownership in America: Untapped Opportunities for Success, assesses the economic fortitude and potential of Black-owned firms, identifies the opportunities and obstacles for these business owners and addresses the ways in which policies and investments can contribute to the success of Black entrepreneurs. April 2017 marks the 49th anniversary of the 1968 landmark Fair Housing Act. 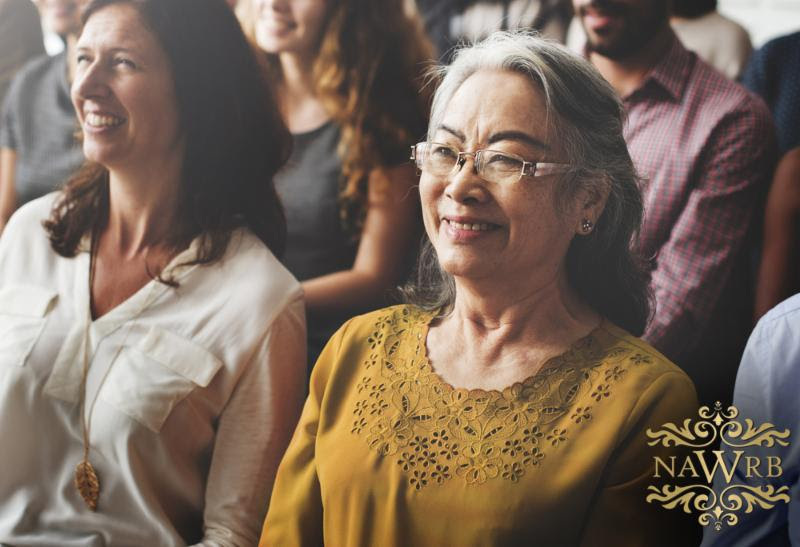 Each year REALTORS® recognize the significance of this event and reconfirm their commitment to upholding fair housing laws as well as their commitment to offering equal professional service to all in their search for real property. Women entrepreneurs are a vital component to the U.S. economy, as they are responsible for the creation of both new businesses and jobs. 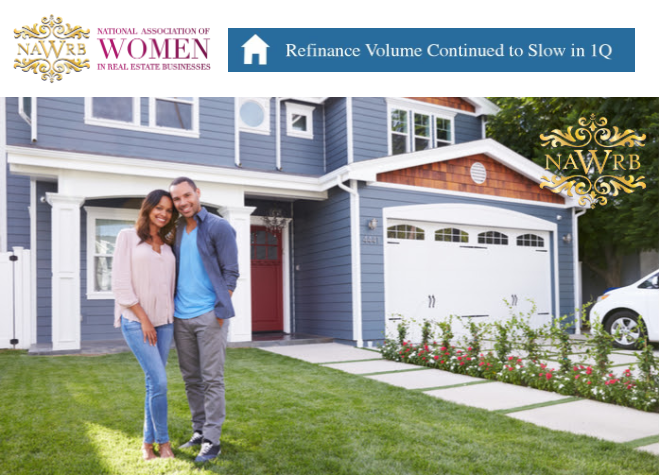 However, despite the rapid increase in number of women-owned firms in recent years, women-owned businesses face significant barriers to growth, including limited access to capital and networks. 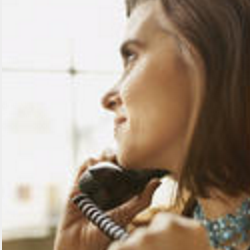 NAWRB sheCalls provide industry updates, training and access to important resources for women in housing. Call in to find out what you’ve been missing! 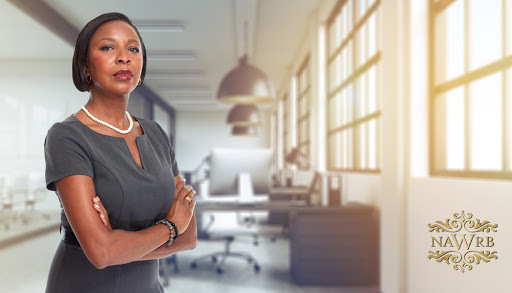 Discover resources offered by the CFPB Ombudsman’s Office for women-owned and small businesses from Sharon Asar, Deputy Ombudsman, CFPB Ombudsman’s Office! 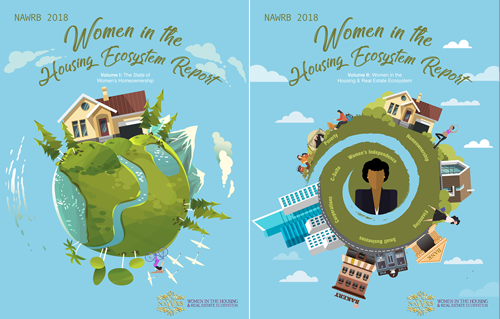 Call-in to find out how to get involved as a woman in the housing ecosystem, from taking advantage of your resources to participating in the many women’s groups changing the game today! If an event involves women’s equality and supporting the women’s movement, NAWRB strives to be there. Join us to take part in making a better tomorrow! 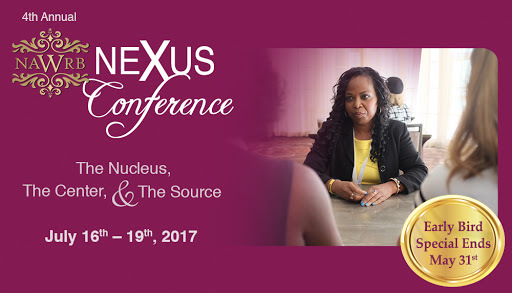 From businesses to nonprofits, this conference is a resource sharing proven strategies from some of the world’s leading women. Opinion leaders, industry executives and celebrities will empower you to create change in your life. Join NAWRB at the LA Sparks opening game! This year, NAWRB will host monthly trips to see the LA Sparks! We will provide tickets, transport and food for up to eight people, at minimal cost. 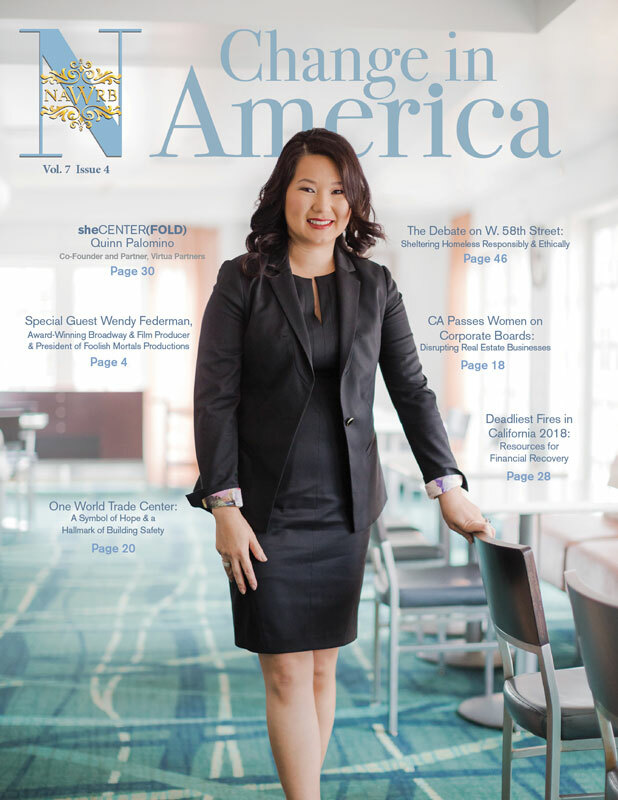 Newsletter: NAWRB InnovateHER Challenge Winner & Happy Memorial Day Weekend! 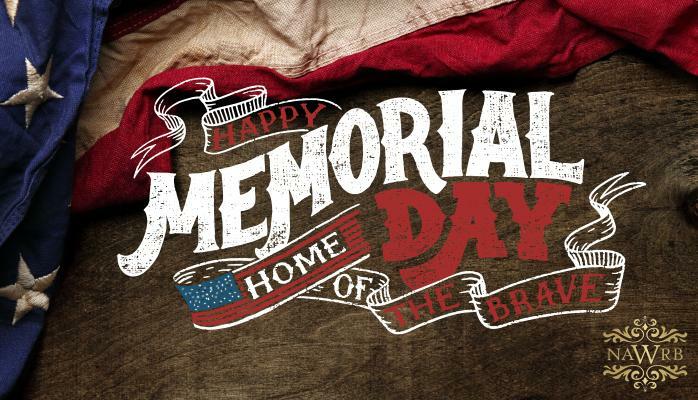 This year, Memorial Day also commemorates the centennial anniversary of America’s entrance into World War I. Also named The Great War, it saw 4.7 million Americans serve-a representation of over 25 percent of the American male population aged 18 to 31 at the time-and more than 100,000 lose their lives. As we spend the long weekend with our loved ones, we remember and honor those who paid the ultimate price for our freedom. 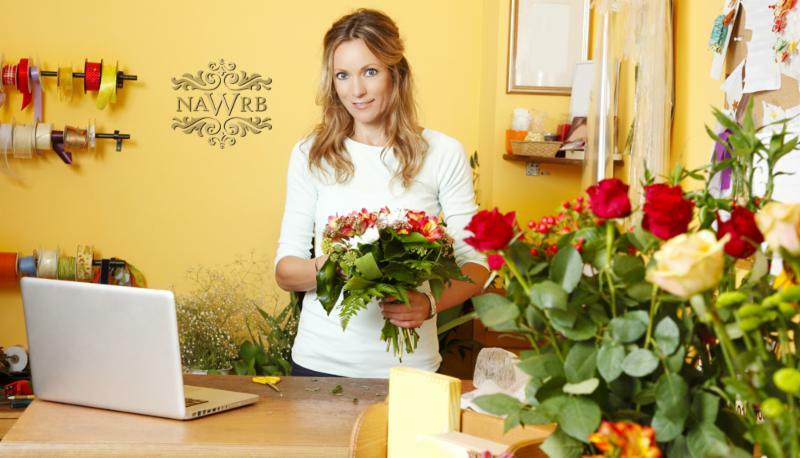 NAWRB Co-Hosts InnovateHER with SBA: Winner Announced! 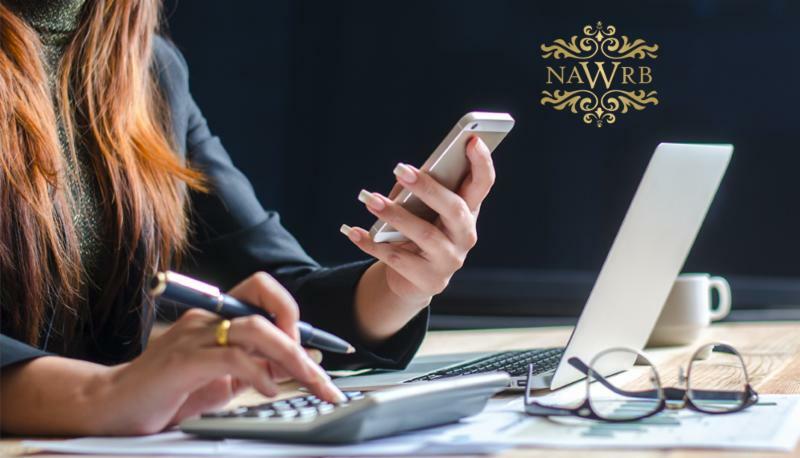 Congratulations to Jennifer Stewart-Tai, President and Founder of City Girl Prepper, for winning the InnovateHER Challenge co-hosted by NAWRB and the Small Business Administration (SBA)! This morning, NAWRB co-sponsored the InnovateHER Innovating for Women Challenge 2017 at the Lutron Electronics Training Center in Irvine, CA. This competition is inspired by the need for innovative products and services to assist working women and their families. 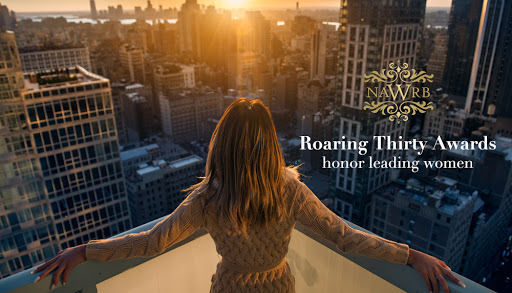 NAWRB Roaring Thirty Awards honor women leaders in the housing ecosystem enhancing the industry and making a seat at the table for women. Our nominations are an opportunity to celebrate passionate women making an impact. From executives on the frontlines to incredible women behind the scenes, we need your help to highlight today’s leading women who walk the walk. What a profound statement! It is with the same fervor as Madeleine Albright that NAWRB supports other women. Like the first female U.S. Secretary of State, we believe that other women, organizations, companies in the public and private sectors and the government must follow suit. 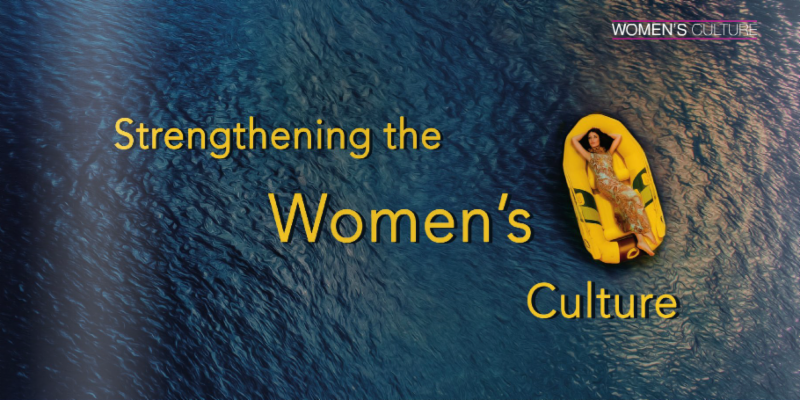 As the Diversity and Inclusion (D&I) movement continues working for equal access to resources, equal representation, equal pay, it is crucial to create unwavering unity among women to advance women’s culture. 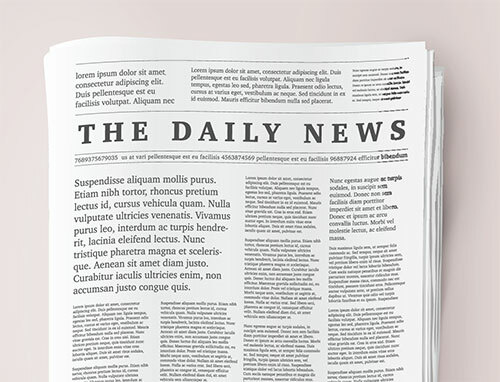 The FHFA has issued a Request for Input on issues facing qualified mortgage borrowers with Limited English Proficiency (LEP) throughout the mortgage life cycle process. Peter Cazamias for the Office of International Trade; Robb Wong for the Office of Government Contracting and Business Development; Allen Gutierrez for the Office of Entrepreneurial Development; and Michael Hershey for the Office of Congressional and Legislative Affairs. 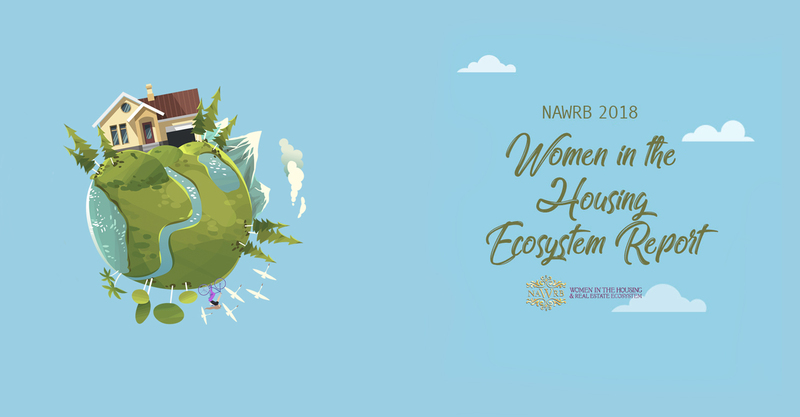 July 16-19: NAWRB 4th Annual Conference, Women’s Collaboration for the FutureThe NAWRB Annual Conference will highlight actionable solutions to increase women’s gender equality in the American workplace. The only way to beat the competition tomorrow is by preparing today. Register to take your business to new heights! The National American Industry Classification System (NAICS) Codes are the standard used by Federal statistical agencies when classifying business establishments for the purpose of collecting, analyzing and publishing statistical data related to the U.S. business economy. The Small Business Administration (SBA) sets the Small Business Size Standards in accordance with these NAICS codes. 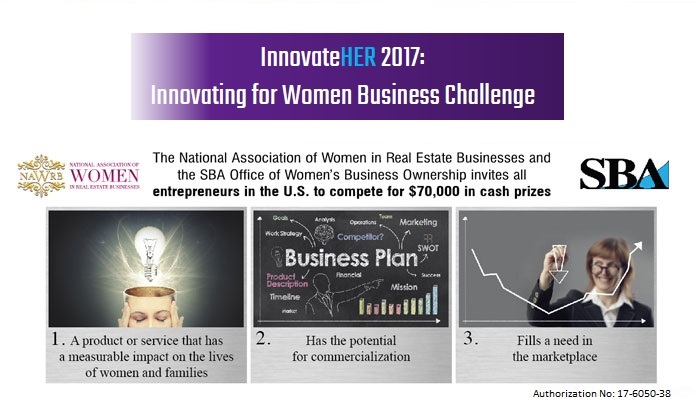 Congratulations to Jennifer Stewart-Tai, President and Founder of City Girl Prepper, for winning the InnovateHER Challenge co-hosted by NAWRB and the Small Business Administration (SBA)! This morning, NAWRB co-sponsored the InnovateHER Innovating for Women Challenge 2017 at the Lutron Electronics Training Center in Irvine, CA. This competition is inspired by the need for innovative products and services to assist working women and their families. 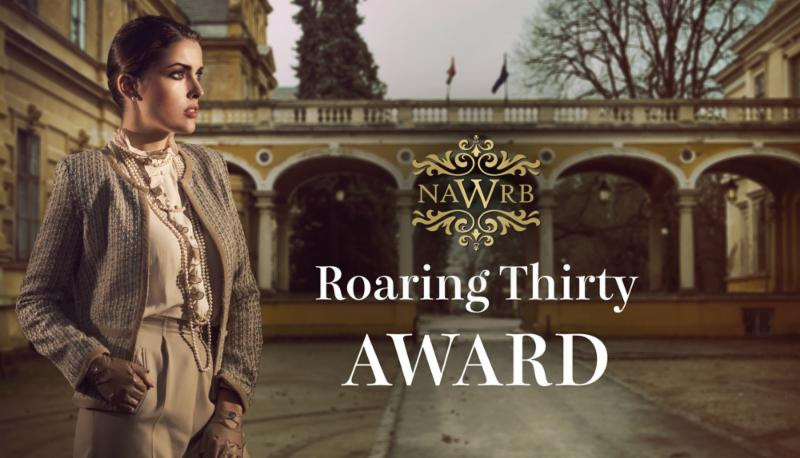 NAWRB Roaring Thirty Awards honor women leaders in the housing ecosystem enhancing the industry and making a seat at the table for women. 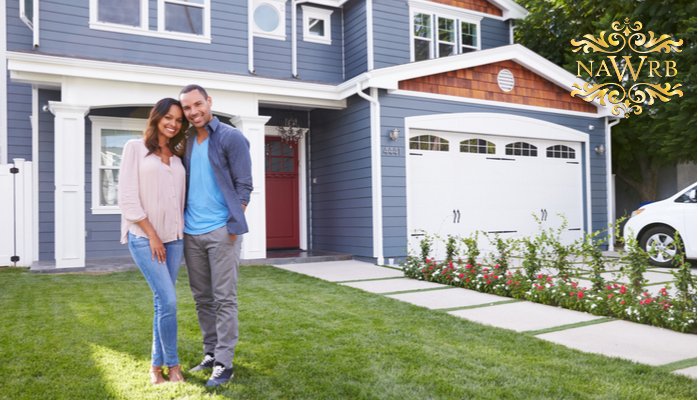 Many have been skeptical that Millennials are interested in homebuying, but various reports show Millennials’ growing interest in real estate investment. At the Small Business Administration, we recognize that helping small women-owned businesses is critical to our economy. 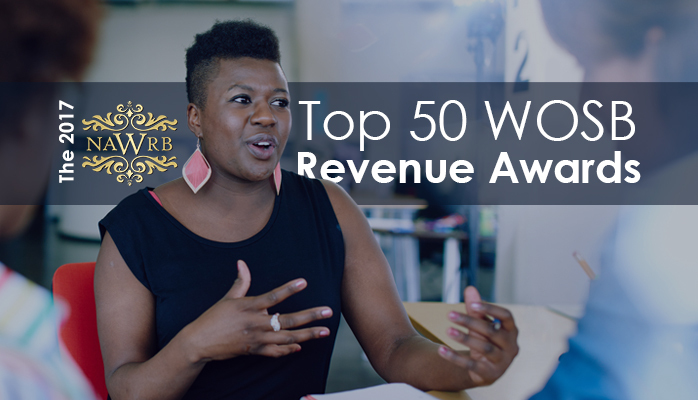 Women-owned businesses are one of the fastest growing segments. In fact, from 2002 to 2007, the growth of women-owned firms outpaced firms owned by men at a rate of 4-to-1. The impact women-owned businesses have on our economy is easy to see: they employ more than 7 million workers and generate more than $1 trillion in revenue each year. 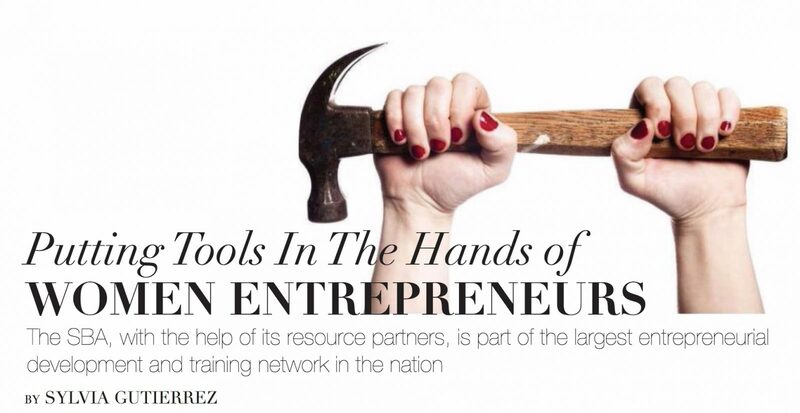 The U.S. Small Business Administration (SBA) is committed to helping these businesses start, succeed, and grow, with opportunities for women-owned businesses existing in all of SBA’s core program areas.